Added Spool Gun to the complete package. 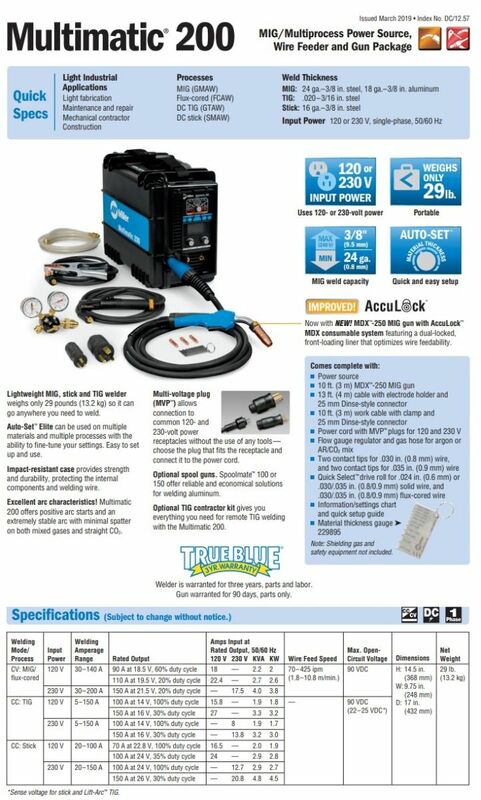 Multi-voltage plug (MVP) allows you to connect to common 120 or 230 V power receptacles without the use of any tools-choose the plug that fits the receptacle and connect it to the power cord. 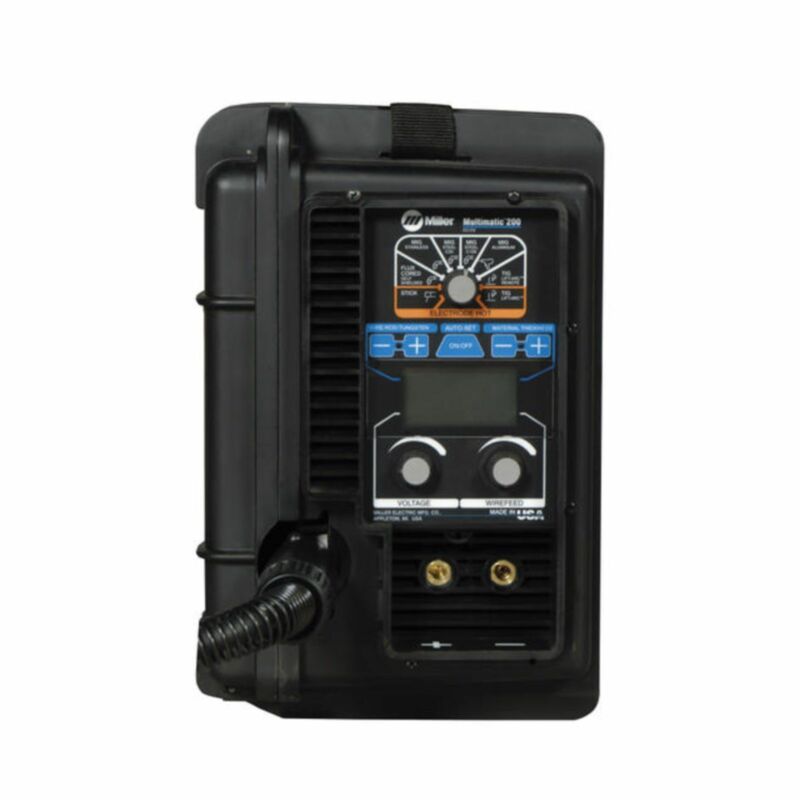 Provides state-of-the-art flexibility, automatically connecting to 115 or 230 VAC, single-phase power without removing the cover to re-link the power source. 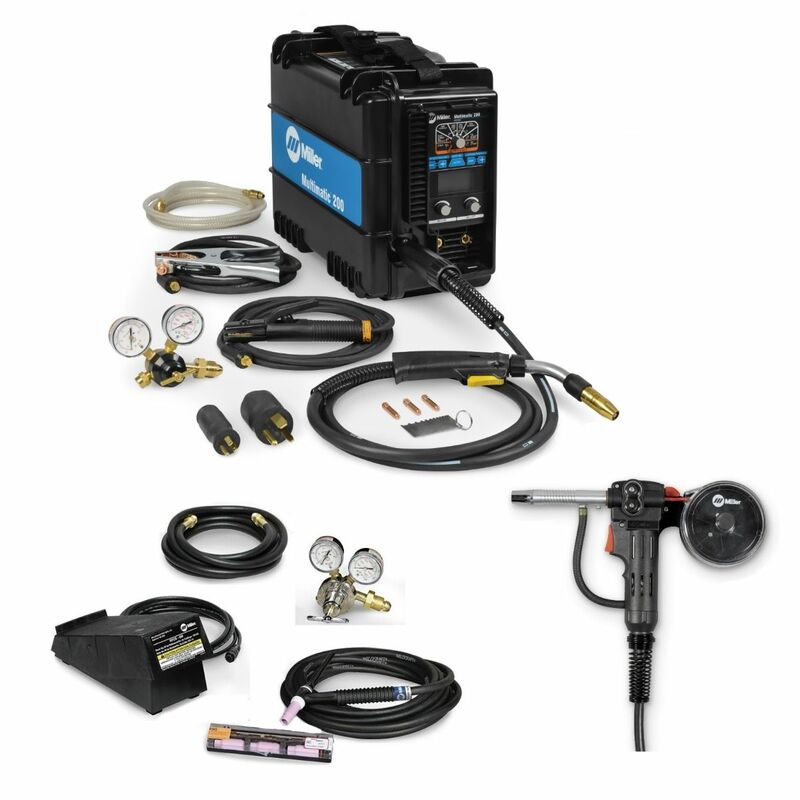 The Multimatic 200 TIG Contractor Kit (301287) gives you everything you need for remote TIG welding with the Multimatic 200. 5 stars - "5 stars!" Hector If you have your own welding business, you should have one of these Miller Multimatic 200 machines!!! 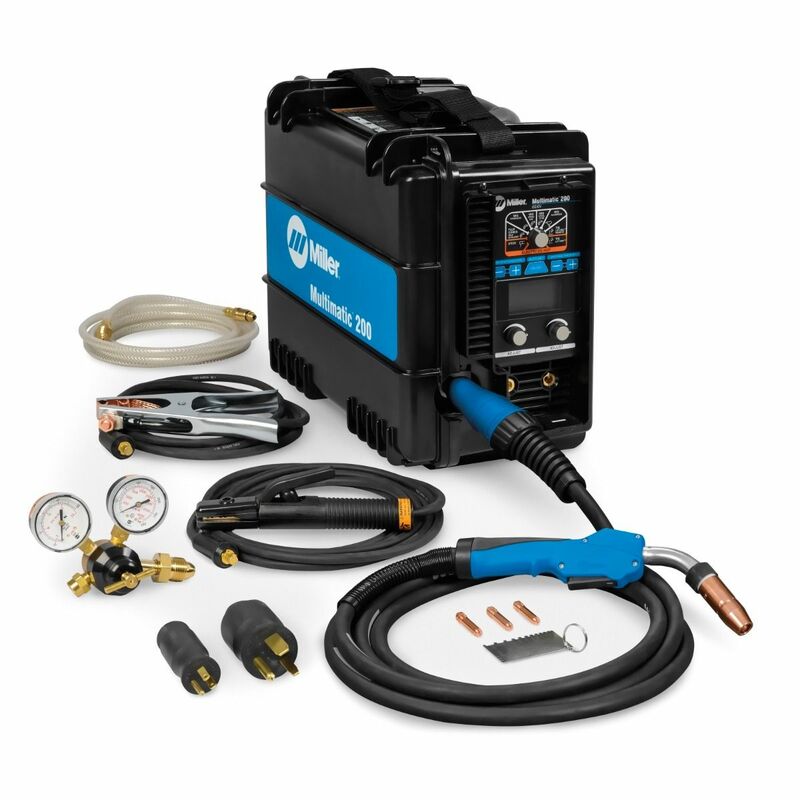 5 stars - "Money Maker" Guest When I was deployed, this was the only welder available to me for 6 months, it was my money maker, so I had to have one based on its multiple welding capabilities. 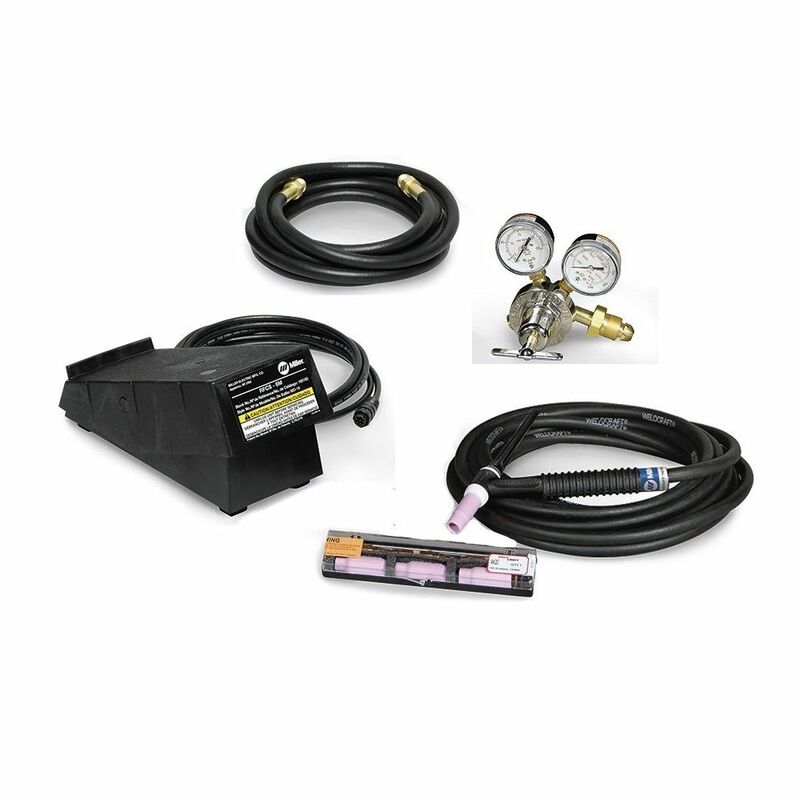 Welds best with 220 volts.